First Name * First name of delegate is required! Last Name * Last name of delegate is required! This half-day course brings you bang up to date with the latest news on the Groceries Supply Code of Practice (GSCOP) and the activities of the Groceries Code Adjudicator (GCA), including her investigations, best practice guidelines and interpretative guidance. Supermarket staff must be re-trained annually so it is recommended that suppliers are retrained at least every two years. Timings: 1000 for 1030 start, 1500 close. Full joining instructions will be sent prior to the course. This course can be run in-house if required. At the end of the course you will receive the key documents to take away. 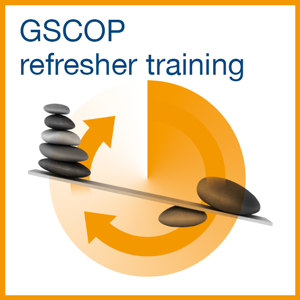 This refresher course is for those who have already been trained in GSCOP and therefore know the Code, the role of the Adjudicator and how to use them in trade negotiations. Retail customers are required by the GSCOP Order to re-train buyers annually. It is important that suppliers too are kept equally up-to-date. The training is led by a business professional practising in sales force training, coaching and mentoring, with a background in a range of sales functions at a senior level within a leading FMCG company. £350 + VAT per delegate including lunch, refreshments and materials. A special rate is available for members. The cost of the course may be offset against the membership fee, should your company be eligible and wish to join the British Brands Group. Payment must be received in advance of the course. 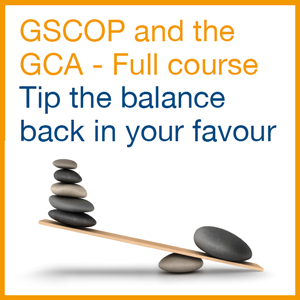 This full-day course tells you everything you need to know about the Groceries Supply Code of Practice (GSCOP) and Groceries Code Adjudicator (GCA), including how to use them to reduce risks and costs and build fairer trade relationships.